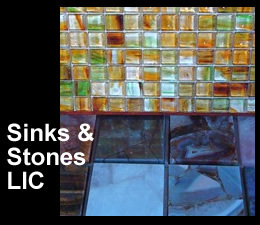 Click this link for the Sinks & Stones store MAP - tile stores in LIC / Long Island City & Queens. 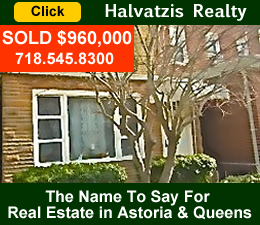 Click this link to view PHOTOS of some of the inventory carried by one of the leading tile stores in Astoria, LIC in Queens. Scroll down for SLIDE SHOW & MAP on this page. 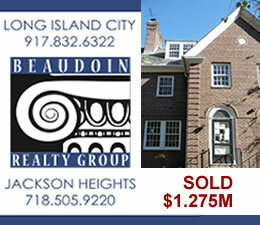 Or click here to go to our web page for our LIC-based-serving - Brooklyn - tiles stores near Greenpoint & Williamsburg. We carry one of the largest selections of natural stones & tiles in LIC, Queens and NYC. Sinks & Stones carries over 1,000 samples and caters to all clients from large, high end, commercial and architectural projects, to individual residential homes. We provide natural stone products from the leading manufacturers and quarries around the world, including ceramic, porcelain and glass tiles; natural stone slabs made of marble, granite, onyx, slate and limestone; and many other stone products including tumbled marble, mosaics, slate, sandstone, travertine and quartzite. We have one of the best boutique selections of tile in the NYC area. We custom fabricate countertops, table tops and other surfaces. And we make custom order vanities and medicine cabinets which are renowned for their beauty as well as their craftsmanship. 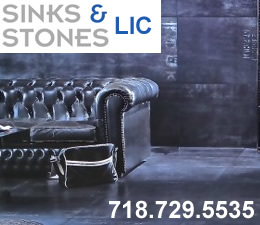 Sinks & Stones has been in operation as a stone and tile business in LIC / Long Island City and Queens for many decades. The current owner grew up helping his father manage the store and has extensive experience installing natural stones and tiles in some of the best hotels in New York City and the world. His experience and network of craftsmen, contractors and knowledge of the industry enable him and his staff to intelligently guide you through your decision making process. Sinks & Stones carries only the best tiles and highest quality sinks, cabinets and fixtures. We're one of the leading boutique suppliers of kitchen and bathroom tiles in Queens & NYC. The following is a slideshow of some of the sinks and stones carried by Sinks & Stones tile store in LIC Queens. This should give you an idea of the kind of products and brands the store regularly inventories. 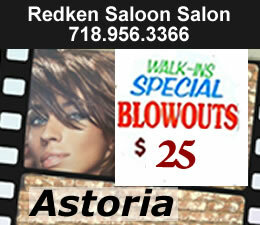 To see the entire photo album at a glance or to maximize photo sizes click here to go into the Sinks & Stones Kitchen & Bathroom tiles store In LIC & Queens photo album on this site. We carry the top brands in sinks and fixtures. 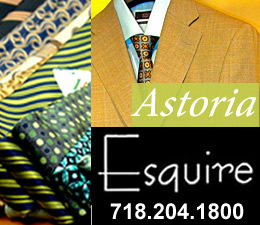 The following are only a few of the brands we carry. We carry a wide selection of high quality natural stones and tiles in all shapes, colors, textures and sizes. 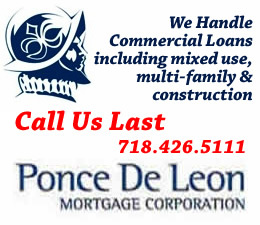 We handle both commercial and residential projects, new construction and renovations. We cater to the needs of architects, interior designers, contractors, builders and consumers. Please contact us at the telephone number below to arrange an appointment or stop by our store to browse through some of our on site inventory. We carry the top brands in kitchen and bathroom fixtures. From steel to brass and silver and gold. We can find whatever you want. We also carry other items including bathroom products and accessories, sinks, shower doors, numerous architectural hardware lines. 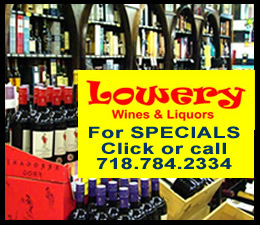 The location of Sinks & Stones in Long Island City Queens is shown below. Hover over the marker for the address. 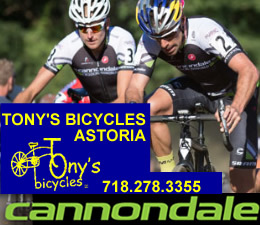 Click this link for a map with transit directions into the Long Island City neighborhood.